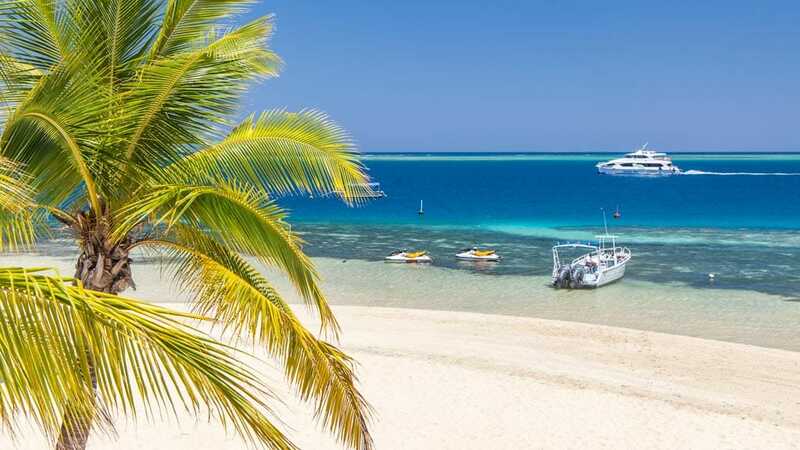 Soft white sands, crystal clear waters and laughing faces full of joy; yep, Fiji is a real paradise getaway. From the calls of Bula (meaning life, and the go-to greeting here) to the laid-back, archipelago wide ‘Fiji-time’ that will soothe you out of any stress from home, it’s hard not to start to switch-off from reality the second you crack open your first chilled coconut. But Fiji isn’t exactly famed for being the cheapest of destinations and private resort island transfers can quickly add up. Landing a relatively cheap Fiji Airways flight from Singapore delivered me to Nadi, the main airport city on Viti Levu, the largest of Fiji’s Islands. 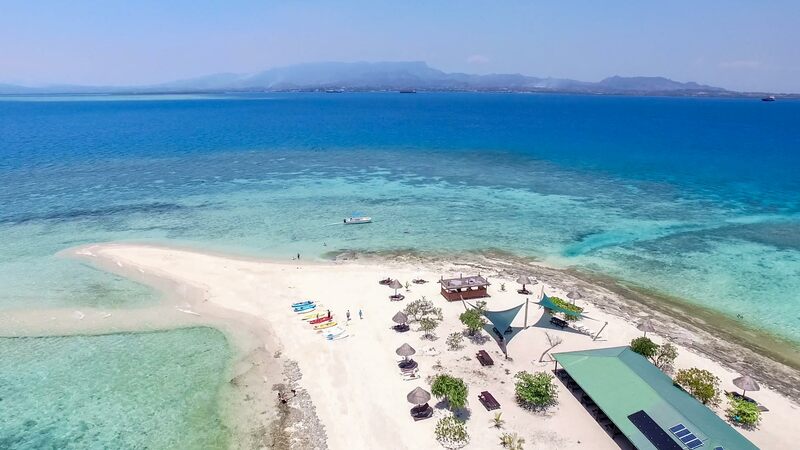 Although Nadi itself is far from the top destination here, it does serve as a perfect jumping off point for Fiji island day-trips from Nadi and nearby tourist hub, Denarau Island. Along this stretch of coast, you can find 5-star hotels or chilled-out hostels, making it a friendly option for all budgets. Here are some of the best day-trips from Nadi that I took and hopefully this will help your planning if you decide to use the Nadi area as your Fijian holiday base. Take a video tour of a few of my favourite spots in Fiji filmed on assignment then scroll down to discover more. It doesn’t get much more pristine than this, and for that, you do have to cough up a price. This beautiful resort island provides incredible beach-side accommodation and only welcomes a limited number of day visitors (around 20) to keep the remote island feel. I totally ended up here by accident after asking my fisherman friend to drop me off and following a quick chat with the receptionist I realised I wasn’t supposed to be there. Luckily, the Fijian hospitality is the best, so I was given a whirlwind tour of the fantastic resort which was enough to make me wholly jealous and vow to stay here one day. I had time for a quick beer at the bar where Tom Hanks paddle from the film of the same name is kept (though, the film was shot on a different, uninhabited island) and to marvel at the clear blue waters before my un-invited overstay had to come to an end. 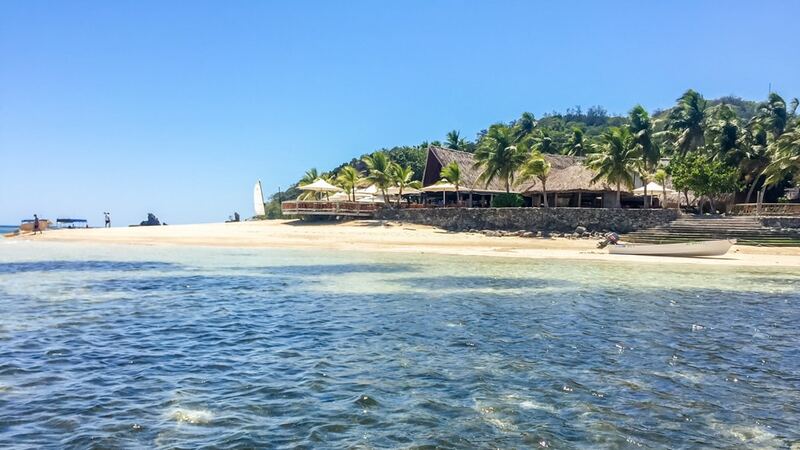 This palm-fringed spec of sand also offers accommodation, and with both private and dorm room it can make for a good budget option for a stay away from Nadi. I headed her on an evening trip, although you can take a full-day tour here too. 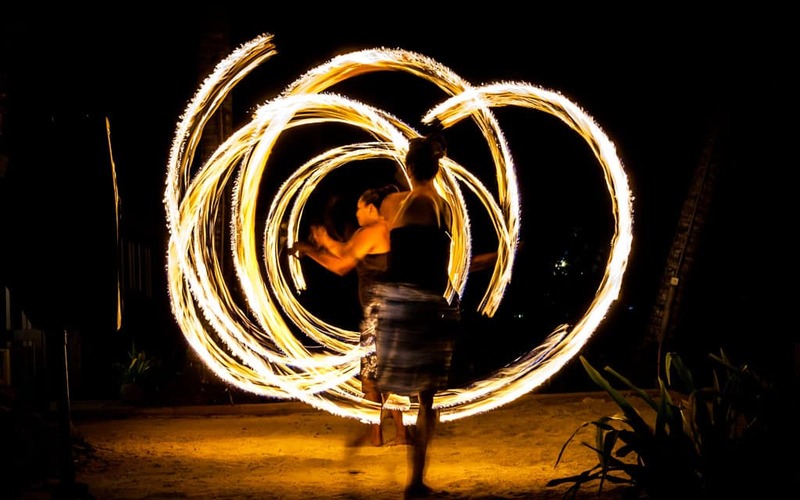 At night, the island comes alive with traditional entertainment, including Kava welcoming ceremonies, dancing, fire performances and a vast buffet cooked traditionally in an underground Lovo. It’s a bit of a pain to get to, with about an hour and a half bus transfer from Nadi to the 30-minute boat ride from their Jetty. 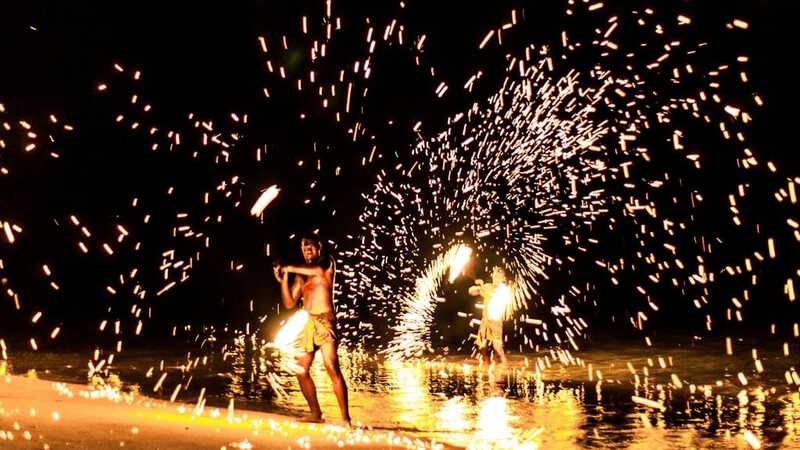 It’s also fair to say it’s a relatively tourist primed event rather than raw and authentic but, if you want to experience all of the above and don’t have much time, it’s a relatively affordable day-trip option from Nadi. This bar is no-where near the clouds, nor is it near anything else. 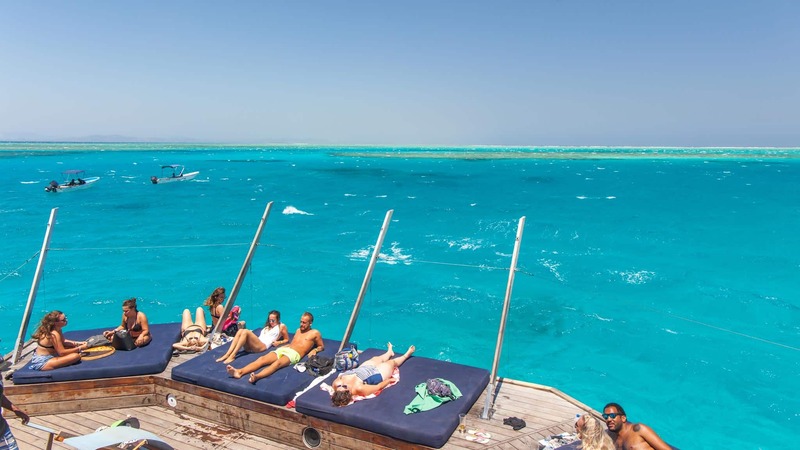 A large wooden deck, complete with bar and day-beds, Cloud Nine Bar floats in the middle of the ocean surrounded by a multitude of different coloured waters. Its main draw is the sheer coolness of being able to sip on a cocktail and grab a pizza before jumping off the bar into the warm waters below. It’s worth noting we rocked up her with our fisherman friends and jumped on for a few drinks and a quick visit (which, I think is allowed if you happen to be passing through the middle of nowhere and need a beer), so this might be an option if you don’t want to dedicate a whole-day her. If you’ve got a sea-plane at handy (can I be your friend? ), then you can also just fly on down for your refreshment of choice. If you’ve followed me for a while, you’ll know I’m also the brand-manager for an epic tour company who blend awesome places with empowerment tourism, a concept of creating sustainable change while on the road. My time in Fiji was also spent putting together the latest tour with Hands on Journeys, a 5-day trip based out of Fiji and Denarau that includes some of the best attractions, but also an authentic local day in a far-flung village. Inland, the tourism dollar doesn’t reach many communities, so we worked with a small village about an hour from Nadi to create an incredible experience including Kava, dancing, family-style cooking and local activities. I’m pretty proud of what the community pulled together with our support, and it provides a great chance to see a more traditional side of Fiji and make some new friends while a providing a sustainable income in more remote regions. Without a doubt, one of my favourite islands I’ve ever been on, and it was the day-trip we decided to include in our Hands on Journeys tour. After a boat ride from Denarau Island, complete with guitars, songs and free beers, this beautiful uninhabited island makes for a great day out. With an unlimited, all-inclusive bar, excellent lunch buffet, sea-kayaks, snorkelling gear and even a massage tent, you can pamper yourself, tan yourself or head straight into the water for your entertainment. The set of the ‘Love Island’ reality TV show, Bounty is relatively close to Viti Levu and offers a range of accommodation making it another alternative place to stay. Day-trips to the island take about 30-minutes and again, it’s more white sand, palms and laid back vibes. 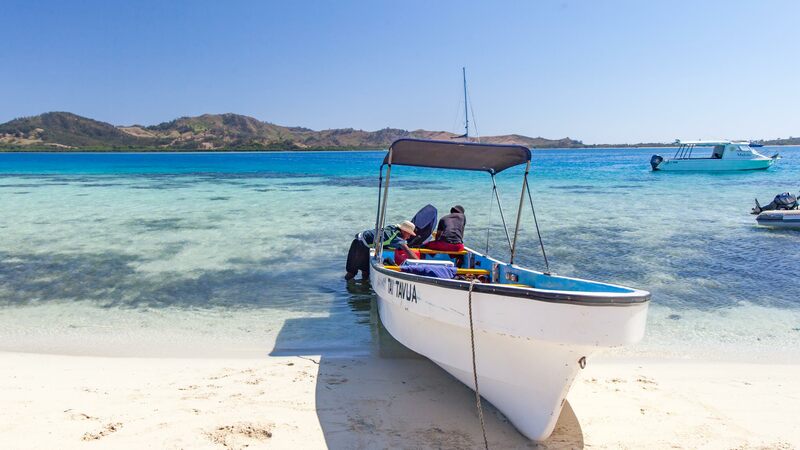 The island also has a sea-view boat, so if you want to see some of the marine life but aren’t comfortable with snorkelling or diving, it’s an excellent option for a Nadi day-trip for families. A range of facilities, water sports and entertainment, are on the island. Making new friends on my travels is my thing, and new-friends usually leads to slightly different experiences. ‘Hey, are you fishing today’ can quickly turn into a hand-shake, deal made and your own tailor-made day trip. That said, it was a fantastic way to see empty sand-bars, plenty of different islands and to do it at our own pace and make some awesome friends along the way. Just don’t trust them about rocking up to Castaway Island! Nadi Town itself is a relatively sleepy place. I’ve heard people say some nasty stuff about it lately but just because a place isn’t Instagramable, doesn’t mean you should write it off. Often the best way to know a countries culture and real vibe is to slip into the daily life. 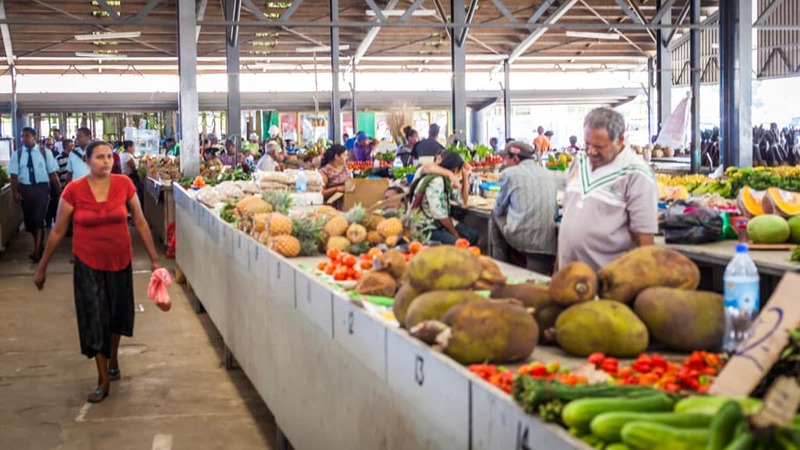 Here you can visit little markets more suited for souvenirs, but the substantial fresh fruit market is a great place to pick up a criminally cheap coconut and meet plenty of smiling faces. The Sri Siva Subramaniya Hindu temple was under renovations when I visited, and again, while it won’t win any awards for scale, it’s still nice to take the time to see the country as more than just a big beach to sunbathe on. 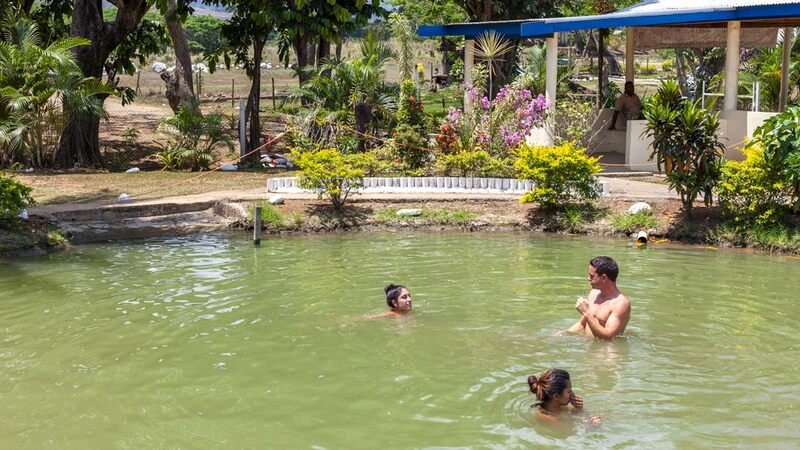 The Sabeto Hot Springs and Mud Pools make a good half-day activity in Nadi. A short drive takes you to a pretty laid-back venue where a handful of sellers hawk their local goods and bubbling hot-springs sit nearby. Given the temperature of the springs themselves, the water is filtered into a collection of pools which you dive into after caking your body in the warm mud, baking it out to dry and then washing off. Don’t go expecting a full-blown spa style site as this is anything but that. It’s just a cool thing to do, and the people working there were a friendly bunch with a damn cute dog. No need to pay for a high-priced tour, just jump in a Taxi and pay when you arrive. 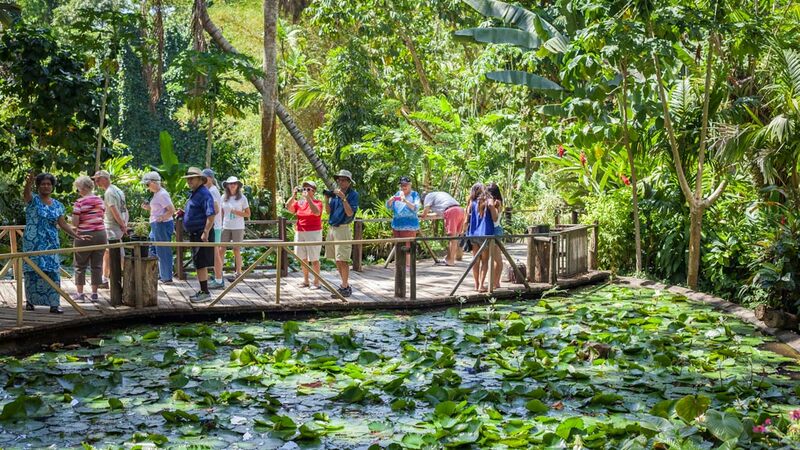 Another popular day-trip in Naid is the Gardens of the Sleeping Giant, a lush landscape garden area with native, colourful flowers that sits alongside the legend of this dormant volcanic crater. You could use your taxi to do both the hot springs and gardens together. Beyond the gardens, and something you might want to book a tour in advance for is the zip-lining and waterfalls located nearby. I didn’t personally bother with this as I’d heard the zip-line wasn’t that impressive and wanted to save my cash. You can see more details here (ziplinefiji.com/) and make up your own mind if it’s a worthy investment of your Fijian dollars. Overall, Fiji isn’t a ground-breaking destination boasting various must-see attractions or UNESCO sights, but it does provide a beautiful backdrop for a laid-back escape. I’d personally take Fiji over the Maldives any-day as I found the culture and welcome so much more authentic here. I left with a massive grin on my face and feeling brand-new, what more do you really want of a beach escape? This was so insightful and helpful. Many people have told me Nadi is the worst and you can’t do anything, but I feel much better about my trip after reading this. Glad it could help :) Have fun! Looks like an absolute paradise! Nice post. I am just going to have a trip to fiji and i am really very motivated by this post. I will share it my friends which are going with me. This is such a great post! Very informative, and the photos are incredible! Though you did say that Fiji is a bit pricey, how much would you recommend for a daily budget? I understand that there are a lot of other factors, just trying to figure out the minimum amount I need. Thanks! Thanks Nadya! It really depends, lazy days in the beach and hostel could be as low as $25 out of season, day trips and eating out with a nice hotel and you are looking at $100 or more. Very helpful blog. Thanks for sharing. 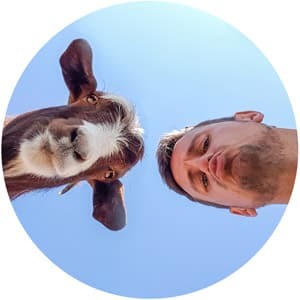 Amazing post.Love reading your blog.Pictures are stunning.I would love to visit here with my friend.Thanks for sharing this post with us.Keep sharing. 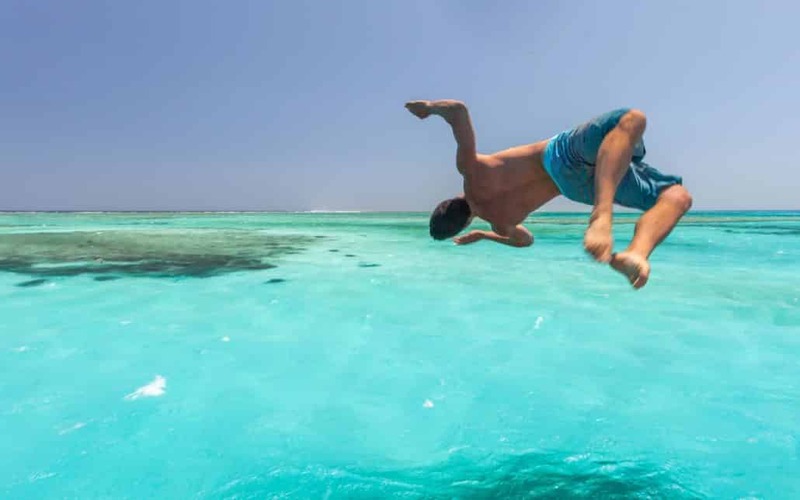 Thank you DAN so much for sharing this Fiji trip guide and pictures. You really motivate me to explore Fiji in coming Months. Thanks for sharing this tips, i am just going to have a trip to fiji and i am really very motivated by this post. I will share it my friends which are going with me.